Each year, The Public School Forum of North Carolina gathers hundreds of business, education and government leaders in Raleigh to discuss the most pressing education issues facing North Carolina that will drive policy debate in the upcoming legislative session. 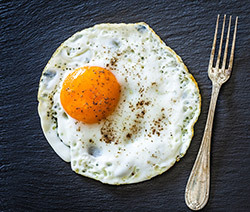 The annual Eggs & Issues Breakfast also debuts the Public School Forum’s Top Ten Education Issues for the year. 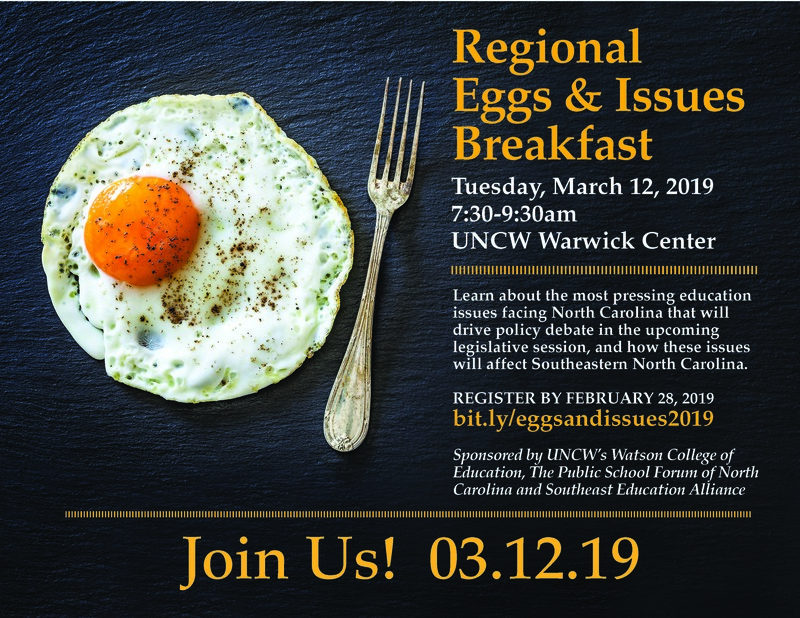 The Watson College of Education, in partnership with The Public School Forum of North Carolina and The Southeast Education Alliance, will host the first Regional Eggs & Issues Breakfast on Tuesday, March 12 at UNCW’s Warwick Center. Keith Poston, President & Executive Director of the Forum, will share NC’s Top Ten Issues for 2019, and regional leaders will engage in a panel discussion on how these issues will affect education in Southeastern North Carolina. Join us at this important event, and please help us share information about it with teachers and schools leaders in your district, members of your local school board, contacts at your Chamber of Commerce and community agencies who serve as partners in education across the region. Register for the event by February 28.